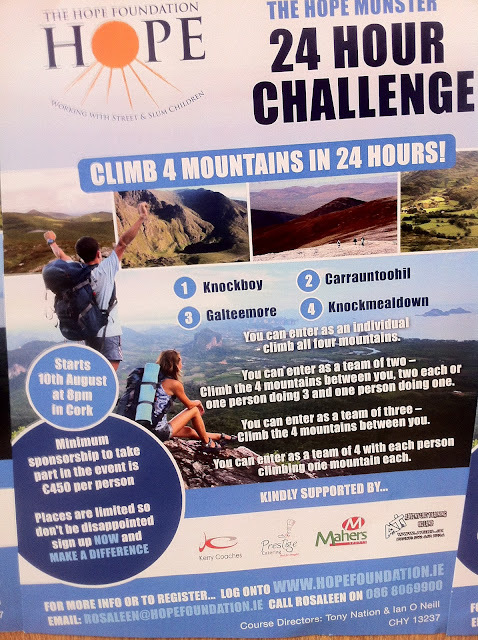 We at Mahers Outdoor shop are proud to be part of this fundraiser. The Hope 24hr challenge is happening on the 10th of August and it starts off at 8pm from Cork. All the info is on the poster above, if you have any questions just ask the lads in the shop here. This is a great challenge for any walker so if you think you're up for it get a card and start fundraising!!!!!!!!! !